There are many wonderful things about Christmas, but there are also many stressful things about it. Many people complain about the expense of buying so many gifts for family and friends. It adds up fast, not to mention how bad the whole mess can be for the environment. Isn’t there a better way? There can be. You’ll have to change how you think of Christmas presents and be ready for people to be surprised at the kinds of gifts you give. For the people in your life who need just a little more company or someone to talk to, make their gift be your time. Promise to be there for them. Promise more visits where you’ll just sit and talk. Promise help running errands. Find things they need your help with, and offer your time. This is great for grandparents and others who don’t need so many things in their homes, but often would like more company or help. It helps to create wonderful memories for all concerned and is a great example for the children in the family. It’s also a good choice for your spouse. Give certificates promising a massage, a night out and so on. The gift of experiences is great for kids. Give fewer things for presents and give more promises of things done together. The kids may be skeptical at first, but if you choose right, they’ll enjoy the experiences tremendously. Hiking is a good choice for those who like to do things outdoors. You may have to drive to a good place for hiking, but you can have a lot of fun together on the hike. Taking kids to free activities is another good choice. Stores such as Home Depot and Lowe’s often have free crafts for kids on Saturdays. Check the websites of your local stores and see what’s available. If your child loves books, more trips to the library is a great choice that won’t cost you anything. It’s great fun exploring all the library has to offer. Many libraries have special activities you can attend. There may be story hour for preschoolers, for example. My local library also has a Toddler Boot Camp, which is a mom and toddler exercise time. Check your library’s website to discover the activities available to you. The main thing to remember is that you can give more than just things for the holidays. Your time is far more valuable to those you care about than the things you can give them. They may not realize it right away, but most truly enjoy it when you give more of your time and focus less on things. Even for children, Christmas gifts don’t all have to be about the toys. You can get them plenty excited about experiences, or special times with their families. Think about the experiences you and your family could share that will help your children to continue to grow and love the environment. I’ll try to avoid experiences that absolutely require travel out of your local area. The idea here is things that will be very affordable with minimal concerns for the impact of doing them. 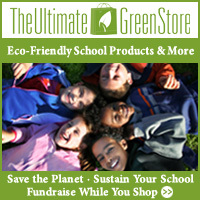 It’s for parents who are trying to encourage green behavior, after all! Not everyone likes zoos, but modern ones do a lot of work toward conservation and have helped to keep certain species alive. The best zoos to get passes for, of course, are the ones that have modern cages that put some serious effort into making life comfortable and interesting for the animals. I remember going to the San Diego Zoo as a child, when the cages were pretty dull for the animals. These days they are much more complex, with appropriate scenery for many animals, and lots for them to do. They’re also far more beautiful than the old style. They’re still working on improvements too. 2. Snorkling or SCUBA diving. You can often rent rather than buy equipment if you aren’t going to be doing this regularly. This would be great fun for kids who really love the ocean. 3. Visit to local nature centers. The availability of nature centers may vary widely by where you live. I can think of a few nature preserves in my area. Some are free to get into while others do charge a small fee. These can be great for hiking, and some may include educational literature so you can learn about the wildlife your family is seeing. Whether you go to a National Park or a local campground, camping is a great time to get in touch with nature. If your child has a favorite place to go camping, make up a gift certificate for a trip there at an appropriate time of year. Pick them by the space you have. Even an apartment can often support an herb garden in the kitchen window, patio or balcony. My kids love learning about herbs, and during the growing season know which plants they are allowed to pick leaves from to eat, and which they must ask first… plus, of course, which plants they simply may not touch at all. You do have to be careful about the eating part with young children, and emphasize the rule that they have to ask about specific plants, not just what they think the leaves look like. If you have the space, a back yard garden is great for the entire family. Growing vegetables in your home garden is a great way to get superior quality produce. Don’t forget appropriately sized garden tools. You can get a decent quality of tool for children too. You may have to pick up some binoculars for this if you don’t have them already. You can spend quite a bit or just get an inexpensive pair appropriate for a child’s use. A book on bird identification can be helpful as well. If you’re lucky, this can be done in your back yard. If not, start keeping an eye on local parks, fields and nature centers where you might get to see some interesting birds. Sure, you should have one already for your kids, but if not, get one and commit to going to the library regularly! Free access to books and even movies at many libraries. And all it costs is time. Published by Stephanie, in Eco Friendly Parenting, Green Gift Ideas.